In track and field the most effective athletic speed training program is one where the athlete is able to maximize their full potential. Each athlete will have needs in each element that are either more or less, than other members of their group. The outcome of this is that we have speed training programs that are as diverse as the universe. There are many different speed training programs about these days and a number of very successful speed coaches in track and field who implement them. Each with a slightly different slant on how they develop speed in their athletes – even those who have come through a similar coaching system - their philosophies might differ. So, you will be glad to hear that I am not going tell you that my athletic speed training program is the best and only way to develop sprinting speed. But what you will get are the facts as they are currently known and proven to work. From there you can make up your own mind. It is probably true that the world fastest men and women (in the nicest possible sense) are genetics freaks. Therefore, those of us who are not so gifted have to rely on other means to help us to defeat these super gifted and talented athletes. That help comes in the form of any efficiency gains we can make in our movements i.e. our running technique. 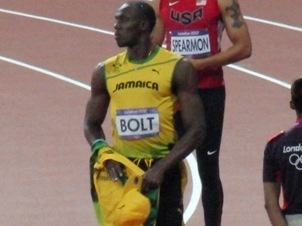 Every athlete can increase their sprinting speed by improving their running technique. Even the super talented sprinters will benefit greatly from being in a speed training program design to help them run more efficiently. I don’t know of any elite sprinter who doesn’t work every single training session on their running mechanics. The following are examples of running based anaerobic training routines. These training sessions target the right energy system and if you apply these athletic speed training tips, you won’t go far wrong. From "Lightening Fast Athletic Speed Training" Back To "Faster, Stronger, Better – Your Shortcut To Improved Athletic Performance"